I always like to try local favorite food and definitely like trying new drinks when traveling. A recent trip to Montana gave me the chance to sample a few new microbrews. 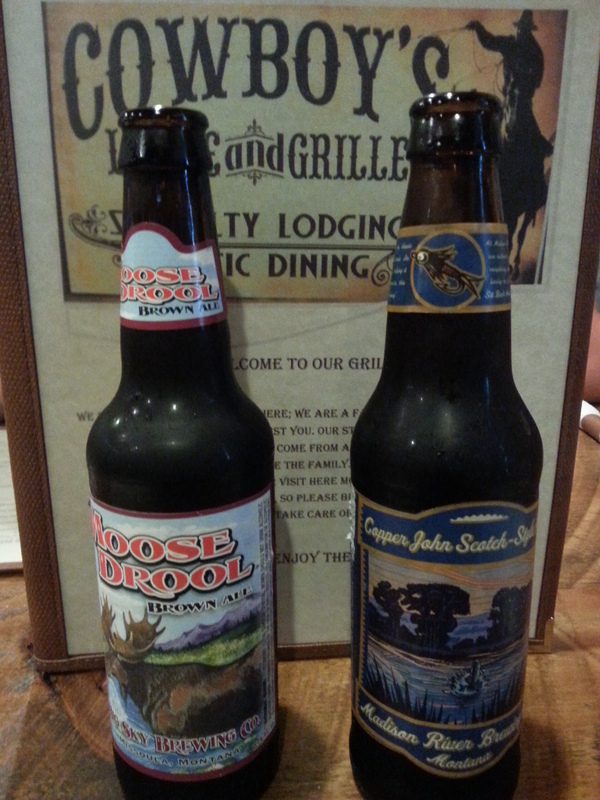 From Montana, I tried Moose Drool Brown Ale, Copper John Scottish Ale, and Alaskan Amber. Now obviously Alaskan Amber is not local to Montana and instead is from Alaska, but it was a new brew for me to try, and the fact that Amber Ales are my everyday choice means I am including it here. Brewed in Juneau, Alaska by the Alaskan Brewing Company, you can visualize the glacier-fed waters that make this beer. With an ABV of 5.3% and more importantly, a perfect lack of bitterness with 18 IBU’s makes this a delicious choice. For the other two actual Montana brews, how could you not like products from breweries called Big Sky and Madison River Brewing. The Moose Drool from Big Sky, with an ABV of 5.1% and 26 IBU’s made for a fine tasting Brown Ale. The Scottish Ale from Madison River was so good that I had to have another, causing me to miss a chance to try something else. With an ABV of 7% and low bitterness of 19 IBU’s, this was my favorite of the trip.